My last mural project in 2016 is in progress! It is a four piece mural for the city of Lakewood, Colorado, the place I now call home. 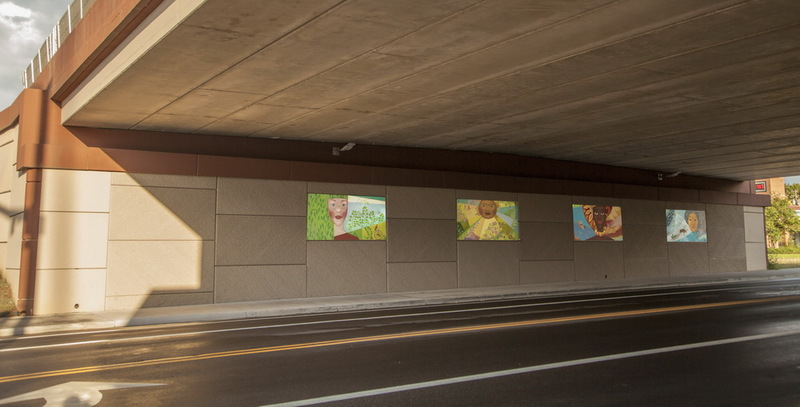 The mural will be installed in niches of the Garrison street and Highway 6 underpass in the end of December. This was the original design for the project. 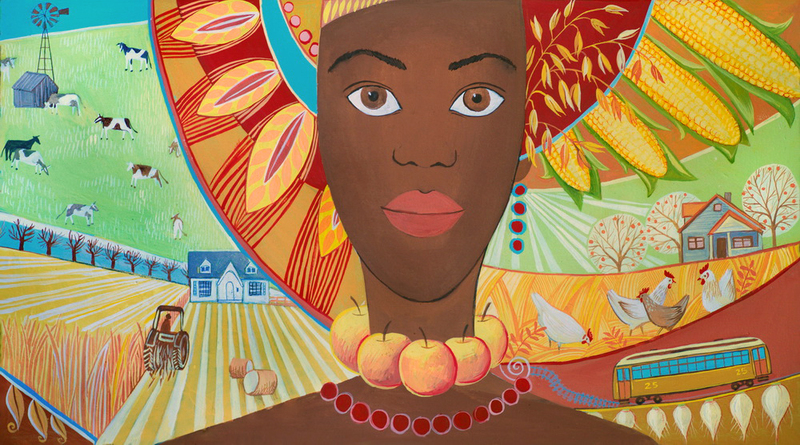 The four piece mural represents the four seasons of the year with four women of different ethnicities. Mock up of a mural on location. 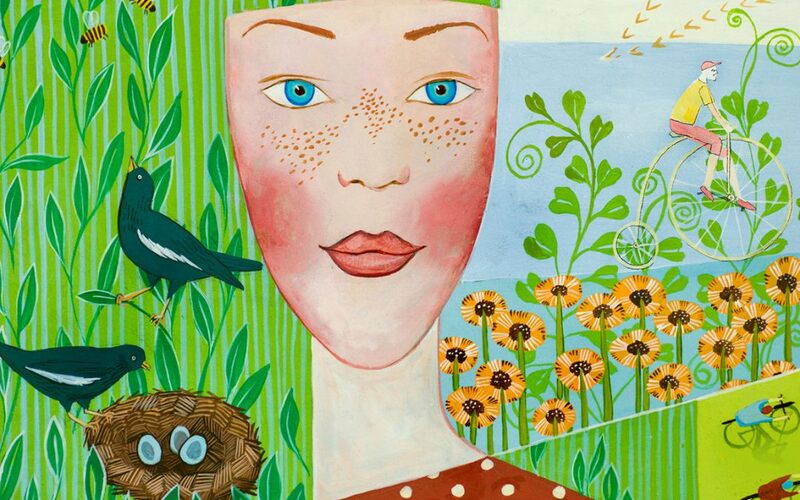 The spring season is shown with a Caucasian woman. 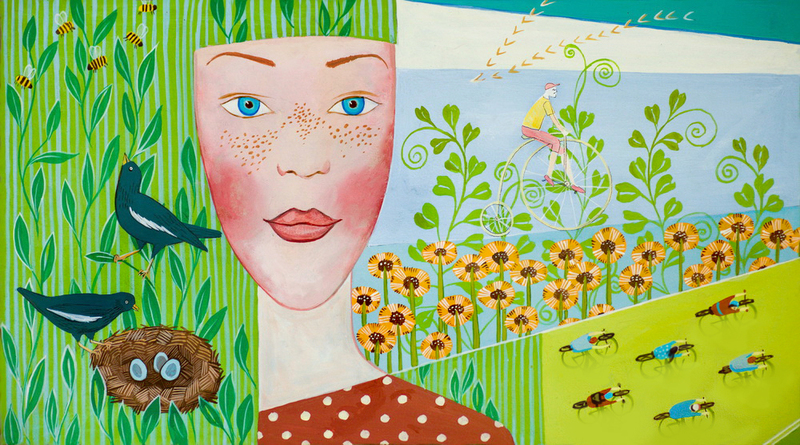 Found here are the state bird: Lark Bunting with a nest, bicyclists, a flock of birds returning home, the Black Eyed Susan Flowers, a native Colorado wildflower and bees. 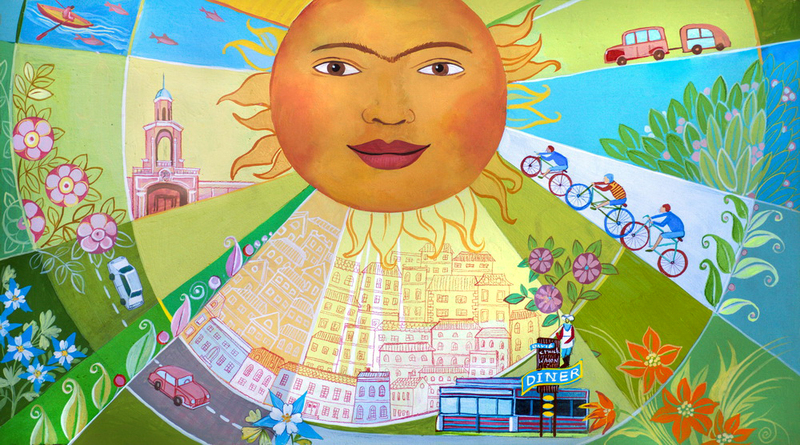 The blooming summer is featuring a face of a Hispanic woman in a shape of the sun, inspired by traditional Mexican wall art. This piece introduces many summer activities: kayaking, bicycling, cars and trailer camping. There are few historic eateries of Lakewood here: Casa Bonita and Davie’s Chuck Wagon diner and lots of flowers including the state flower: Rocky Mountain Columbine. The fall season is shown with an African-American woman. This piece acquaints us with the agricultural history of Lakewood, its farms, cottages, crops and harvests. 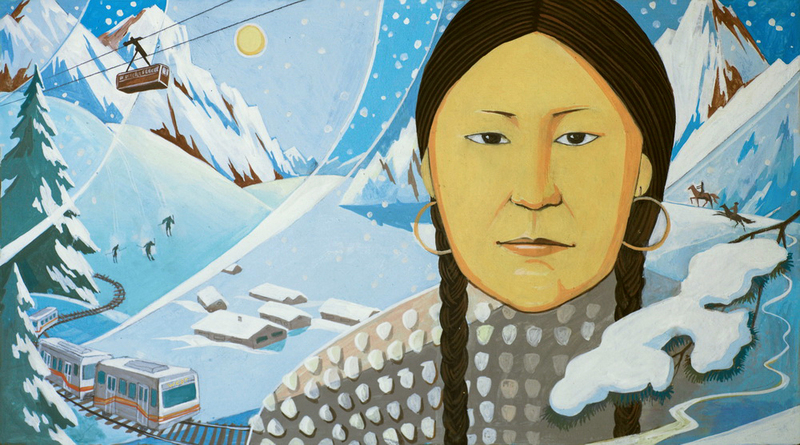 Winter season is featuring a Native American woman from The Cheyenne tribe in traditional clothing. Also, this piece includes the Western line of the light rail, a train system that connects Denver metro area, the Rocky Mountains and it’s winter attractions: skiing, snowbording and horseback riding. 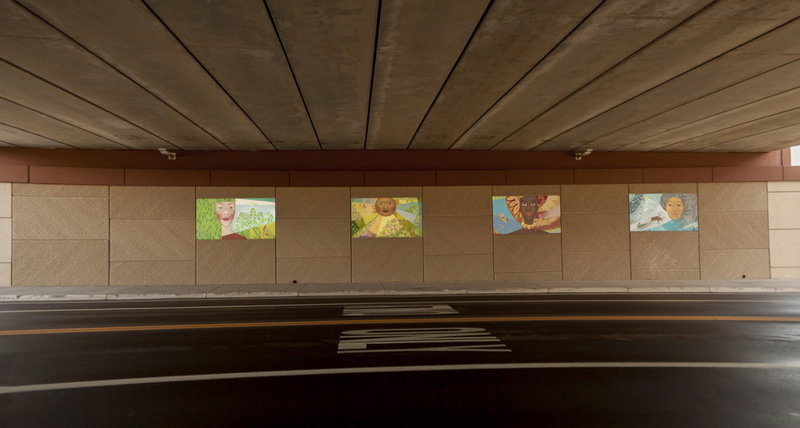 The underpass with a mock-up of a mural. 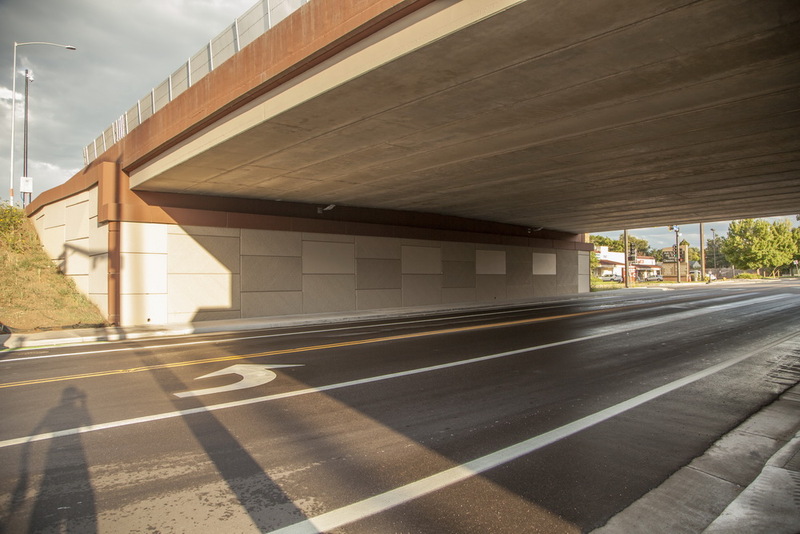 Garrison street and Highway 6 underpass now, without a mural. Come back in the end of December 2016 to see the finished mural and pictures of the painting and installation process.